Against Interpretation. 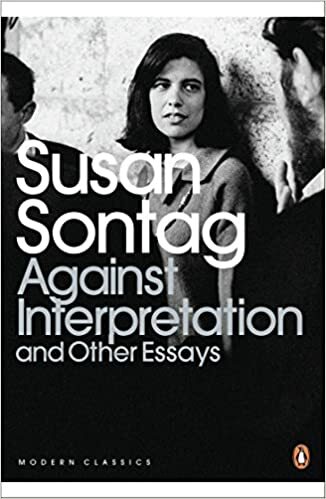 Susan Sontag. The earliest experience of art must have been that it was incantatory, magical; art was an instrument of ritual. (Cf. the paintings in the caves at. Lascaux, Altamira, Niaux, La Pasiega, etc.) The earliest theory of art, that of the Greek philosophers, proposed that art was mimesis, imitation of.